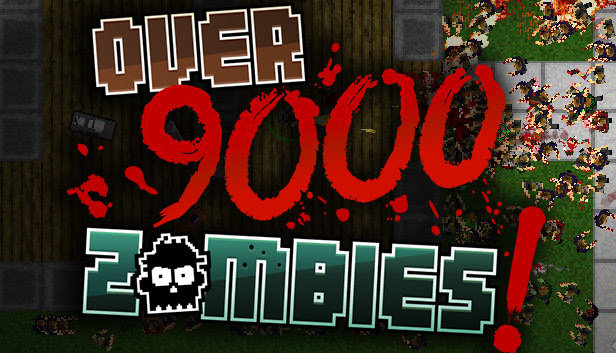 Zombie hit squad Indie developer Loren Lemcke and independent publisher Mastertronic have issued a global public warning that Over 9000 Zombies! will be advancing on Steam Early Access today. The zombie apocalypse has arrived and authorities are urging the public to exercise extreme caution and nail down a zombie contingency plan to prepare for the impending chaos. Tons of AI enemies powered by Zombie Swarm Intelligence are expected to launch themselves in marauding hordes of fiendish pests. Choose your survival tool from a massive array of weapons, build a fortified base with automated turrets, and prepare to blast the relentless rogues while fighting to survive as long as possible. Call for reinforcements with cooperative multiplayer that allows friends join your murderous top-down shooter missions against the multitudes of zombies. With music tailored by Clearside Music to heighten the intensity of your battles, the finale is dependent upon your tactics in this ultimate fight for survival. How many days can you last? ChangYou has announced their first person arena shooter Renaissance Heroes will be released on February 19, 2013 in North America and Europe. Turbine announces Infinite Crisis will receive its first tri-lane map, Gotham Divided, on January 29. The best news source for online games and the premier Multiplayer, MMORPG, and MOBA directory of the web.